I’m excited to announce that my episode on The Quilt Show is scheduled to air on March 12! Click this LINK to watch the promo for my show. As a bonus, you can view this show for free from March 19th through March 26th. I talk about how my approach to quilting has evolved, how I approach designing pictorial quilts and a few tips on working with patchwork. 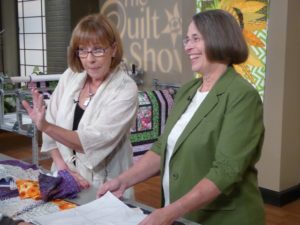 The episodes airs for free the first 7 days…….and I’ve found my subscription to The Quilt Show is well worth it!! So many new shows, features, instructional tutorials and more!! I how you are as excited to see my show as I am! Along the this webcast launch, I’d like to announce my new Etsy site, AnnShawQuilting. You can purchase my full range of patterns and find annoucements for my soon-to-be released designs! Search on Etsy for AnnShawQulting or click on the Etsy link. Happy Quiling.